A contract for the design of the first phase of Bryan's proposed "super park" on the site of the now-closed Bryan Municipal Golf Course is up for a vote at Tuesday's City Council meeting. The council will consider a contract with Burditt Consultants, LLC for design, engineering and constructions services for the park the city aims to build at the northwest corner of Villa Maria Road and South College Avenue. The former municipal golf course closed Dec. 31 after the council voted to accept the donation of the course at the Phillips Event Center, which started operating as the city's new course Jan. 2. The proposed contract has a not-to-exceed amount of $487,000 and covers preliminary design, the preliminary engineering report and a master plan. The second design phase, which will include final design and construction observation, will require later council approval in the form of an amended or new contract. The city received 13 responses to its request for qualifications for architectural and engineering services, and Burditt Consultants was selected from six firms that were interviewed in February. The agenda item states that the "high profile project" requires a firm with "vast experience," including being able to gather public input. The firm will play a "monumental role" in the creation of what the city believes will "likely be considered a legacy park." A presentation of a tentative timeline for the super park that was given to the council in January put the start of construction in September 2019. City staff said that depending on the scope of work, weather and other factors, it could last through August 2020. The park would span the golf course property along with the adjacent Astin Recreational Area and Williamson Park. Concept plans for the park have shown baseball, softball, soccer and football fields along with other amenities. 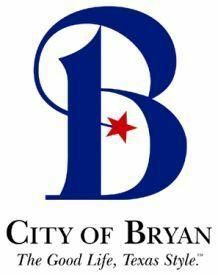 Tuesday's City Council meeting begins at 6 p.m. at the Bryan Municipal Building.